As men, we pay more attention to our hairstyle than we make out. 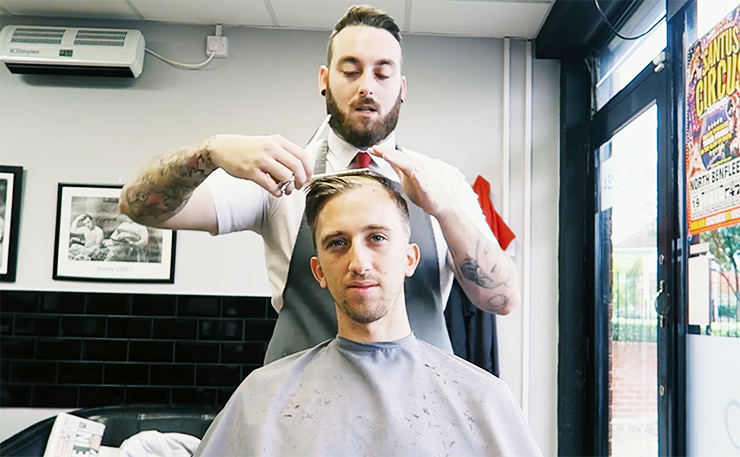 A quick Google or YouTube search will show you, men’s hairstyle content is in high demand. 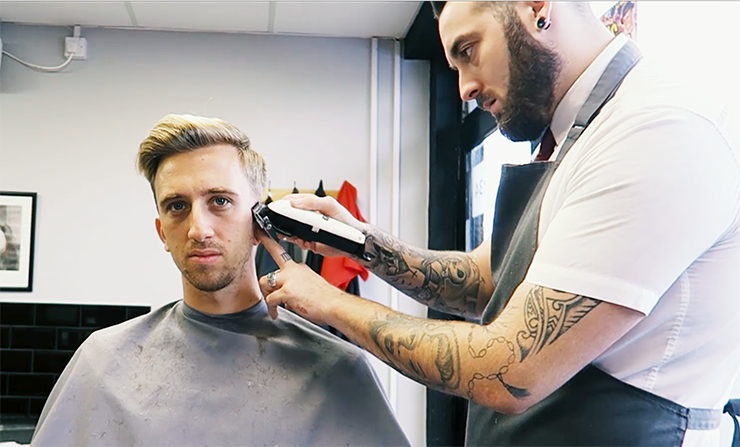 With some videos in the high millions, even here at MFM we always find that men’s hair content is our most popular. But with a huge need to make our hairstyle look faultless, we too often face a battle with time. We all want stylish hair without having to spend countless hours in front of the mirror. Therefore, this article and video today will show you how to perfect your hairstyle every morning without wasting time. 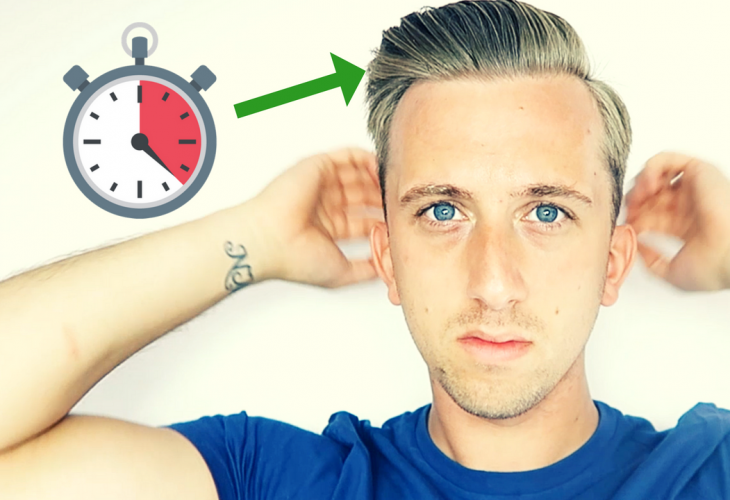 Good hair in less time? This is obvious, but often overlooked by most men. Choosing a good haircut is the first step to saving time on your hair every morning. For me, a good haircut is all about looking stylish whilst being manageable. A lot of men choose a hairstyle that they like and admire to have without thinking about their lifestyle. Does the hairstyle suit my day to day lifestyle? How long will it take me to style it every time? Do I have the required time to style it? For me I’ve kept a similar hairstyle for the past few years, but the reason I keep it is because it suits my day to day lifestyle and it’s manageable. I like to keep it short too, as when it gets a little bit longer it starts to take more time to style. Choosing the right haircut that’s manageable and easy to style is important to saving time on your hairstyle. When I was younger, I avoided pre-styling. I literally would dry my hair with a towel, grab as much gel as I could and style it until it held. I’d often go for a strong hold gel, something that would ruin your hair but hopefully give it the hold it needed. But then I discovered the hairdryer, and I decided to go against my ego and start using a hairdryer to help add volume. Since then, pre-styling has made achieving the desired hairstyle a lot easier. There’s a lot you can do with pre-styling, but again if time isn’t on our side we need to keep things quick. So what pre-styling tips should you follow that keep your hairstyle on point but save you time? Blow-dry Damp Hair, Not Wet. For me blow-drying damp hair saves a lot of time and it doesn’t affect the hairstyle much. If you blow-dry from wet hair, it’s obviously going to take you more time, so towel drying your hair first before blow-drying worth trying. There’s plenty on the market, but trying out a few to see what suits your hairstyle is recommended. 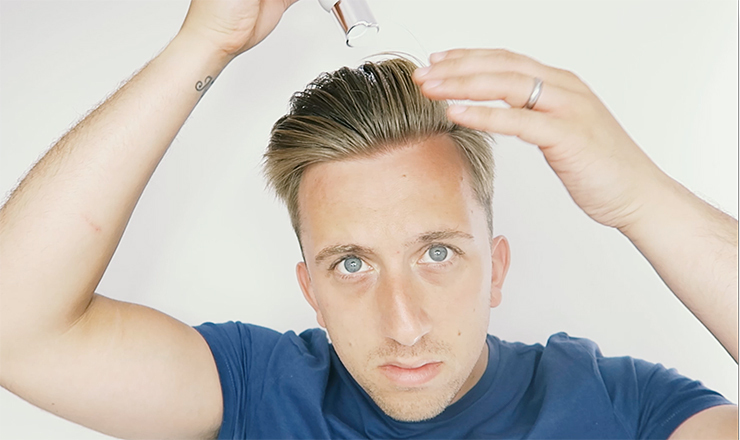 Sea salt spray is my personal favourite, but see what works for you. You’re not being dirty here, in fact not washing daily can help retain natural oils. But not washing your hair daily can make styling easier. For example, the product from last night will act as a pre-styler giving the hair volume and almost helping your hair fall into place as needed. All in all, don’t forget to pay some attention to the pre-styling. Saving time by blowdrying damp hair (if required), using a good prestyling product and not washing your hair daily. 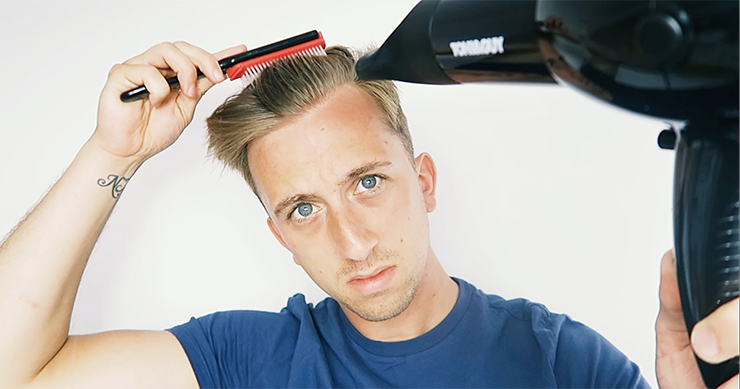 There’s a lot of products on the market, so finding one that suits your hairstyle is important. For me, I’ve tried a lot in the past but experimenting has helped me choose the product that works well for me. All in all, you don’t want a product that’s going to weigh your hair down or a product that makes it look perfect before you leave the door but then lose the hold as soon as soon as you leave the house. 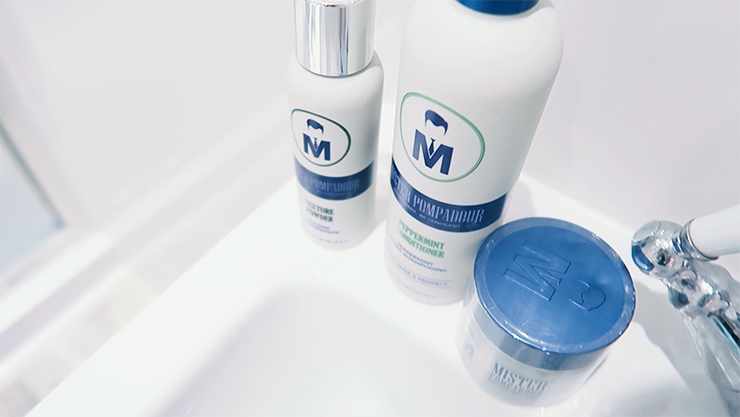 Again, the product to use depends on your hair and hairstyle but I’ve personally been using Mr Pompadour for the last two months. They were kind enough to send me a few of their products to try and I put them to the test before writing this, and all in all I’ve found them to be perfect for what I’m personally trying to achieve. They’ve got a lot of products on offer, from Shampoo and Conditioners to different types of wax and pre-stylers. But I’ve been using their Clay and their Volume Powder a lot. The clay gives my hair great hold, and what I like about it as well is it doesn’t make my hair look greasy at all. It’s a strong hold Clay which isn’t heavy, so this creates a really nice effortless look. The clay itself is easy to apply as well, just a small amount will go a long way and it almost disappears in your hands showing how light the product is. The Volume Powder is something I’ve been applying to dry hair before using the Clay to add some volume, but I’ve also been using it when I’ve got hardly any time in the morning but I want some lift. Just a tiny amount again can go a long way, so I tend to add a bit of powder to my quiff to give it the lift it needs. Again, the powder gives it the volume which means I don’t have to spend as much time blow-drying and I don’t have to use a lot of product either. They’ve got a wide range of products available, and they offer extremely cheap delivery worldwide with no minimums. 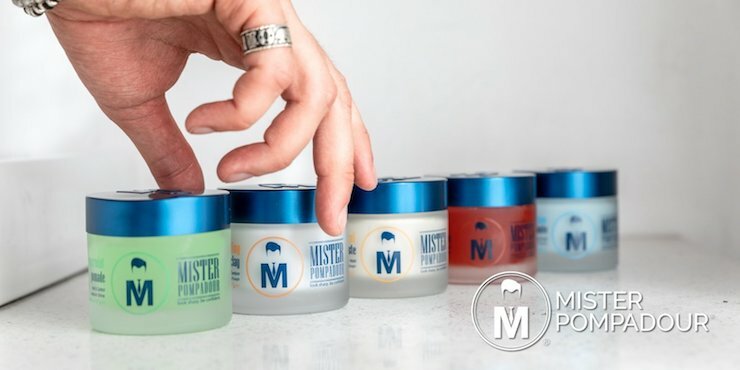 Click here to see the full Mr Pompadour Range. So there’s the 3 tips we recommend you follow to keep your hairstyle looking perfect in as little time as possible. But finally, keep it simple. You don’t need perfect it. We often feel like our hair needs to be perfect 100% of the time, but sometimes we often overthink it. Embrace the imperfections of your hair, no one cares about hair 1,131 being out of place as much as you do. Let us know in the comments below how you save time on your hair every morning. Finally, don’t forget to share this article if you found it helpful. Check out Mr Pompadour here. * This article is sponsored, although all opinions and words are our own.